Above is a very beautiful Saibaba bhajan, heart touching song. 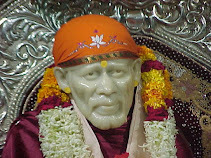 Above is Saibaba Bhajan called, "O Sai MahaRaj - Hum Bhakthonka Tum Ho Naa - Sai Bhajan". 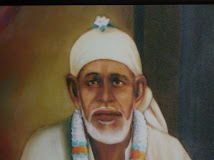 The video has one of the original picture of Shirdi Sai Baba, moving in the projected cosmos. The above online streaming video is, " This sai geeth reflects the heart feeling of an ardent sai devote who didn't get a chance to visit shirdi. It also shows what one should truely expect from sai. You can find Very inspiring meaning of each and every word of this sai geeth"
The video with the song has video of Shirdi, so the devotees while listening to the song can have a virtual tour of Shirdi. All videos uploaded on you tube by SaiVishnu1. Deep thanks to him for doing this wonderful work for Saibaba devotees.